First, Minimize Stress. Make a list and check it twice. By keeping a list and prioritizing it according to whatever deadlines you may have will keep your to-do list more in perspective. Whatever you are not able to accomplish one day, transfer that item to the next and move it to the top of the list. If you’re finding your stress level getting out of control try taking the Bach Flower, Rescue Remedy or Nature’s Sunshine’s Distress Remedy. They work quickly and won’t interfere with any other supplements or medications you may be taking. Deep breathing can have a huge impact on restoring balance and keeping the body calm as well. Don’t Skimp on Your Sleep Seven to nine hours of sleep is necessary. On the days that you aren’t able to adhere to that, try to get a brief nap if at all possible. Start your day with a good breakfast! Most of you will know exactly what I am going to recommend for this good start to your day….PROTEIN! Two to three eggs, Nature’s Sunshine’s Love and Peas Protein Powder in a smoothie, chicken, or beef. You will find this very satisfying and will help keep those afternoon dips in energy to a minimum. Learn to say no! This is a tough one for me too, but I am finding that I don’t need to take on every project someone approaches me with or attend every party that may sabotage my efforts to stay healthy. Stay hydrated. This may be a good time to re-read my article on water. What a difference this simple tip can make for your energy levels, not to mention your physical well-being. It is critical in keeping your body functioning optimally, and will keep those toxins flushed. Fill up on healthy food BEFORE the Party When you fill up on healthy food before leaving home you won’t be as likely to consume the sugary, fattening foods you will be tempted with at the party. If this isn’t possible, then fill up on foods that are “healthier”, veggies and fruits, meats, nuts, even the cheese balls would be better than sugary foods selections. Avoid the trans fats in the cookies, chips, and crackers. On non-party days, try to stick to your normal everyday eating routine as much as possible. Choose your Indulgences There is no need to say no to all desserts! Look over the dessert table and choose one you feel is worth indulging in. If you can eat it soon after you had some protein (chicken, deviled eggs, beef, fish, nuts) it will help keep your blood sugar levels balanced. Most of all, keep from over-indulging. Commit to Movement Every Day For those who are already exercising, keep it up! This will keep your energy levels up and keep your immune system functioning well. And for those who don’t exercise, why not start now!! Start with just 20 minutes three times a week. Walking, rebounding (light jumping on a mini- trampoline), pilates, weight lifting, getting out doors and play in the snow with your kids. Find something you enjoy and make a part of your routine. There are many DVD’s and online videos that are very helpful in taking the guess work out of exercising. Place it in the player and push play, now you have to get off the couch and participate! Be mindful of the real reason of this holiday season. Give thanks, ponder the blessings in your life, and help those in need. The holidays can be a lonely and stressful time of year for many. Going out of your way to help others can be life changing for people who are struggling very fulfilling. Pay attention to community events and participate in events where you worship. That is the reason for the season! I would like to take this opportunity to thank all of YOU, my readers and friends. It is my privilege to share healthy tips with you each month. Here’s to a healthy and happy holiday season. 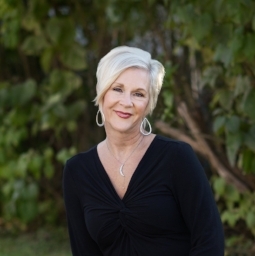 Tracie Yautz is both a trained naturopath and medical intuitive. She sees clients in Pittsburgh and Harmony, Pennsylvania in the North East United States. Click here to learn more about her services and to schedule an appointment.